Auto makers and recyclers are pushing provincial governments to adopt tough new recycling rules for vehicles that they say will lead to improved recycling rates, less environmental damage and even reduce auto-related crimes. Industry groups admit they are acting out of pure self-interest: They fear that if they don’t propose their own recycling regime, that governments will impose one on them that is dysfunctional, expensive and disruptive. Their concern isn’t without reason: Ontario’s recycling regimes for hazardous household waste and electronics have been derided by industry and municipalities alike as boondoggles. Meanwhile, provincial environment ministers have proposed adding similar “extended producer responsibility” programs to include mercury switches, oil filters and other car parts. Under such plans, manufacturers would be be responsible for bearing the costs of a product through to its demise. That alarmed both auto makers and recyclers. Manufacturers worried that a collection of piecemeal programs would be expensive and unwieldy, forcing them to buy wrecks off the open market and pass on hundreds of dollars of extra costs to consumers, as some European countries have done. Recyclers worried that auto makers will move onto their turf. At issue is the fact that the recycling industry is unregulated. While about 420 recyclers belong to industry group Automotive Recyclers of Canada (ARC) – one of the plan’s proponents – and comply by common environmental standards, about two-thirds of the 1.2 million vehicles that come off the road each year are handled by operators who don’t. As a result, many recyclers haphazardly strip or crush vehicles, releasing hazardous materials into the environment, and don’t resell as much of the vehicle’s parts as they could, they say. Since vehicles aren’t tracked by governments to the very end, unscrupulous wreckers can lift their identifying plates and sell them to illicit buyers to give new identities to stolen cars. “Anybody can act as an auto recycler, whether or not they know what they’re doing, and that often leads to the lowest common denominator,” said Steve Fletcher, ARC’s managing director. 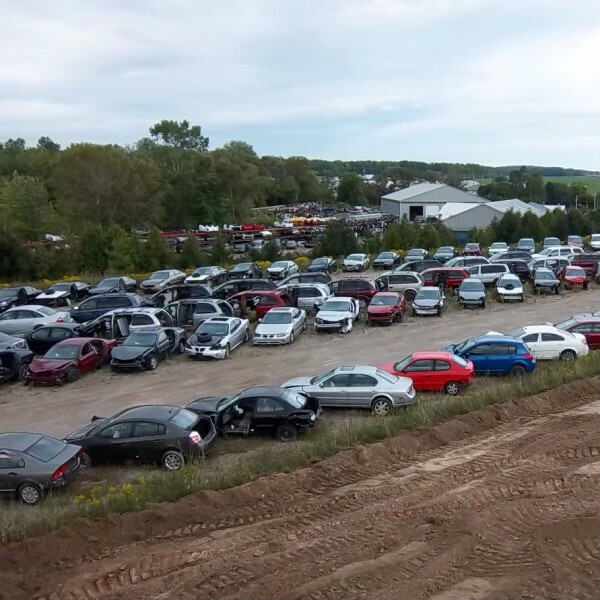 Under the industry proposal, all auto recyclers in a province would need to be licensed, operate to strict environmental standards and report vehicle information numbers as vehicles are scrapped. They would be overseen by an independent body composed of industry, consumer and other government-appointed representatives mandated by the province to enforce the rules. The costs would be borne by recyclers, not taxpayers or buyers, and lead to recycling rates of up to 83 per cent of the vehicles’ weight from about 76 per cent now. The added revenues from recycling more of the vehicle would help to offset the costs of the program, forgoing the need to pass on extra fees to customers, the proponents say. Their hope is to convince Ontario to adopt its proposal, setting the precedent for others to follow. So far, Ontario’s Environment Minister, Jim Bradley has shown initial support, establishing a working group to study the plan over the summer. “It’s always good when you see an industry that identifies the challenge out there and wants to find a solution to it,” he said.